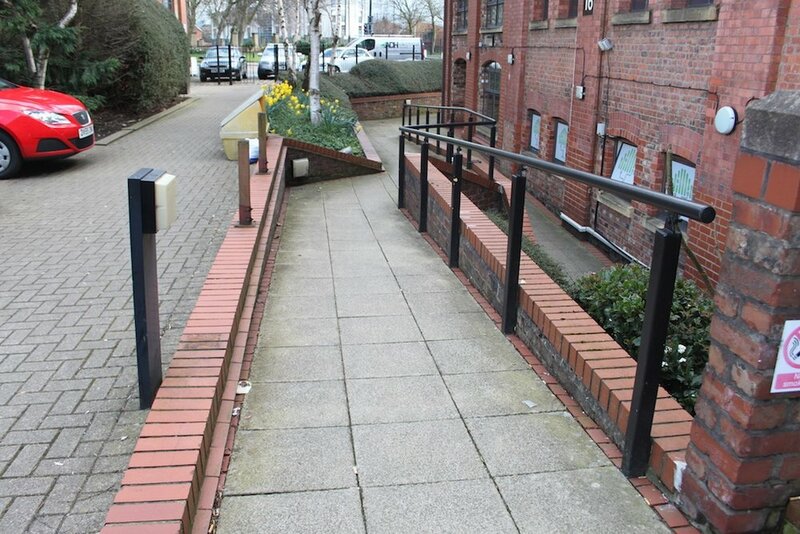 We undertook the laying of new drains and water supplies and the installation of a new handicap toilet and kitchen space at a busy Bizspace site in central Manchester. We also took care of all drawing submissions and communication with Building Control on behalf of our client. Before the works commenced we discussed with our client all possible challenges that we may face for example the depth of the concrete when digging for the new drains to be situated. This meant that no nasty surprises would be received by our client in terms of costs. 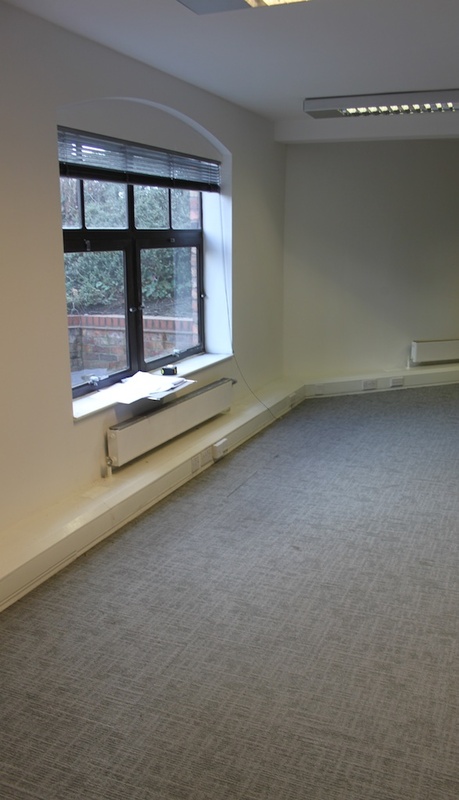 The site was situated on a commercial estate filled with offices which were operational during the works. This meant that keeping the site safe and secure from the public was challenging but was achieved effectively. As seen in some of the pictures the pathway leading to the site were very narrow and were surrounded by shrubbery which was reinstated on completion where disturbed. This made the movement of materials more difficult, our lads over came this with knowledge of training (kinetic methods of lifting) and good old team work! The works were completed on time and within budget.